We couldn't identify the beautiful looking macro algae species, but as it is a fast growing algae species which our Yellow Tang likes to eat, so we don't wanna keep it away from you. 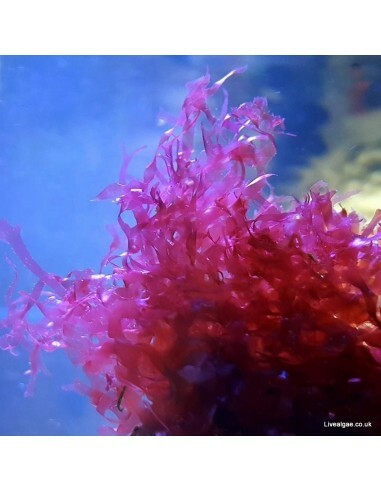 It is a beautiful red coloured macro algae species which will attach itself with a more delicate structure. By buying this product you can collect up to 21 loyalty points. Your cart will total 21 points that can be converted into a voucher of £ 0.42. This Red Turf marine macro algae prefers good to strong lighting. The whole algae is very tasty for a lot of marine algae eating fish species. Therefore it is recommended to keep it in a safe area for a reserve until you like to offer it as additional food to your fishes. It will attach itself when left for example on a rock for a few days without movement. Keep an eye on floating bits of it in your tank as they will do the same when they get the chance. 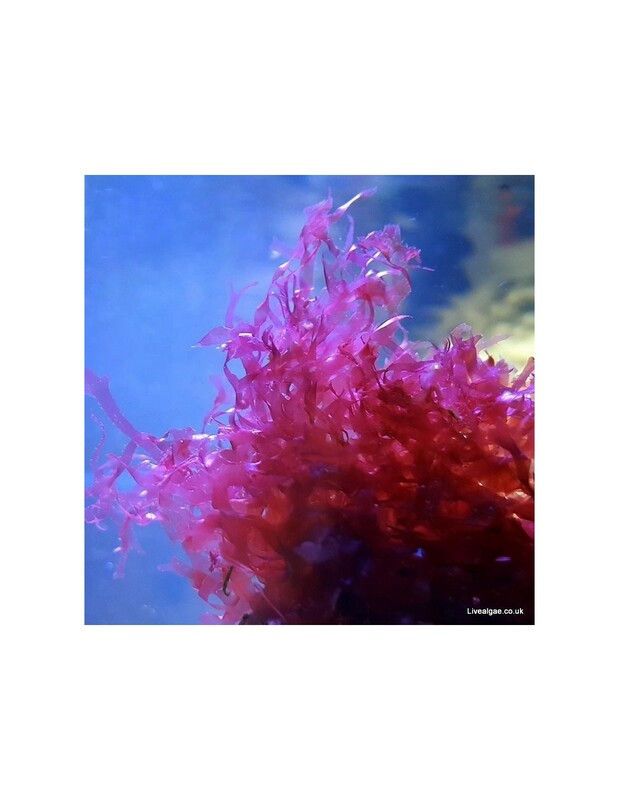 Like for most marine macroalgae a higher level of Nitrate and Phosphate, in addition to the supplement of Iron, Magnesium and Trace elements will improve the growth of this algae. The algae is a bit fragile , but it grows very fast to rocks so that is not a big problem. No reservations, I would recommend this company to anyone. Had a problem when arrived but fast sorted out. When the algae arrived it got obviously damaged in transit. Luckily Manfred sorted this out without any hassle and send me a replacement algae, which arrived fine the next day. Happy with it now. Thank you.